Making the experience fun producing IC3 Spark Certification Training! 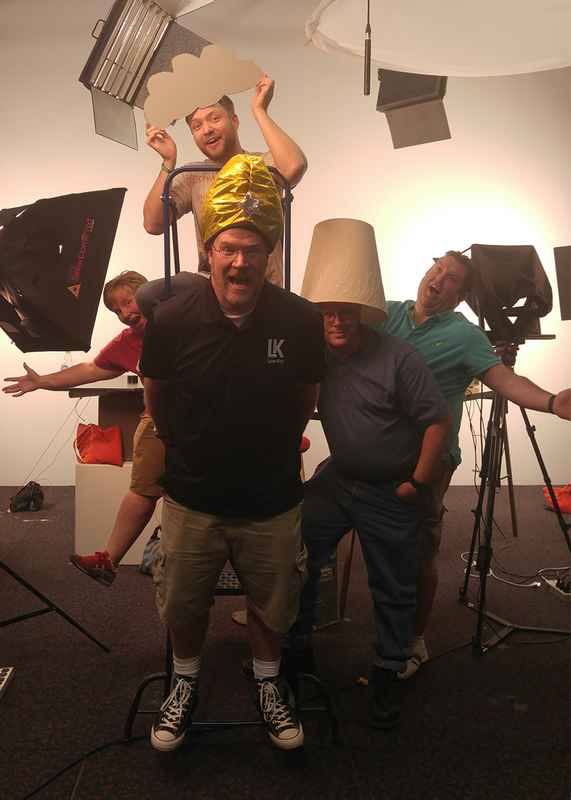 Who says you can’t have fun producing certification courses! At LearnKey we take great pride ensuring our courses map to objectives, cover what is in the certification exam, and that our students gain the knowledge they need to succeed. Producing and publishing content is taken very seriously as our goal is to provide our students with the ultimate learning experience. That said, our learning and development team was thrilled to start producing this week (June 13th 2016) the IC3 Spark training for middle school age children, which maps to the Certiport Exam. This course will provide them with a solid foundation in digital concepts that covers objectives spanning basic computing skills, key applications, and the use of the Internet. Our partner Certiport announced the release of this exam last year and we are excited to be producing this in video, along with workbooks, projects, and assessments so teachers have all the resources they need. Best of all our production team can really leverage their creative skills so this younger student demographic finds the course easy to understand, engaging, and helps them improve their computer skills! This program will be offered exclusively through our Certiport & GMetrix partnership making it the best of the best when it comes to training, access to GMetrix practice tests, and certification. Be on the lookout for this program to be released in late July, just in time for the 2016 fall school year!